Well I'm back in circulation for a little while so I'll join you in the fun at Julias for a couple of weeks. My desk, as usual, looks a bit of a mess, so I will just show you the two bits I am working on. 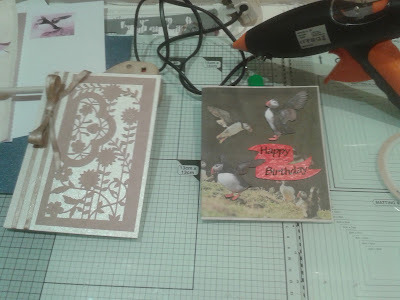 On the right is a card for my grandson who is wild about puffins, a new challenge each year to do something different, and the one on the left was just a play. 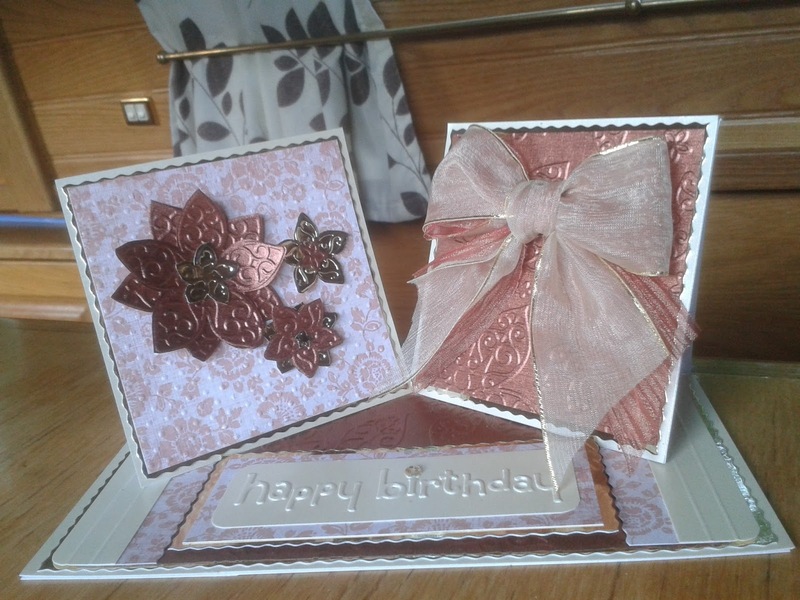 I bought a new die from the dreaded C & C so when it arrived I tried it on the first piece of paper that came to hand and then thought, that would look good on cream so a card was created! 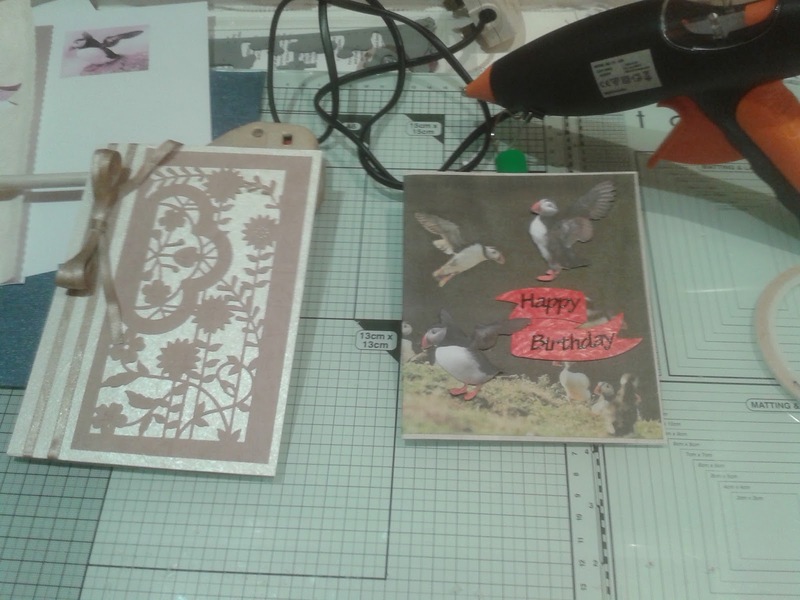 While we've been away I made a few cards, playing with fiddly bits and produced two twisted easel cards. 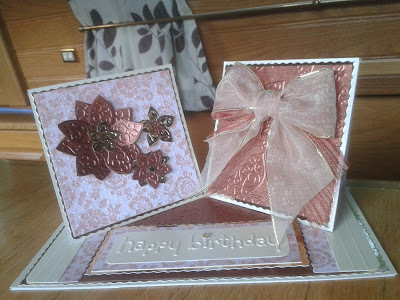 This one was for a couple who celebrated their 60th birthdays very close together so I sent them two cards in one. And just to finish I'll share a very atmospheric picture of a September morning on the Bridgewater Canal. This was taken at 6.30 one morning when I couldn't sleep, so I crept out with the camera and got some lovely pics, but oooh it was awfully cold!. Well thanks you for visiting me, you lovely people and I will return your visits before the weekend. You have been busy, some lovely cards, i love the first one, and the pair of 60th cards. Isn't the light gorgeous over the canal on such fine autumn days as we're enjoying. Hope your trip is gentle! I take stuff to do but never do anything but a bit of crochet when we're away, so am super impressed that you have - and the results are wonderful! I love the beautiful cards you made! I'm on number 40. You're welcome to visit my blog! Love the new die, Chris. That start of a card is beautiful - all misty and dreamy - like the morning on the canal. Thanks for coming yesterday - fun cakes!! 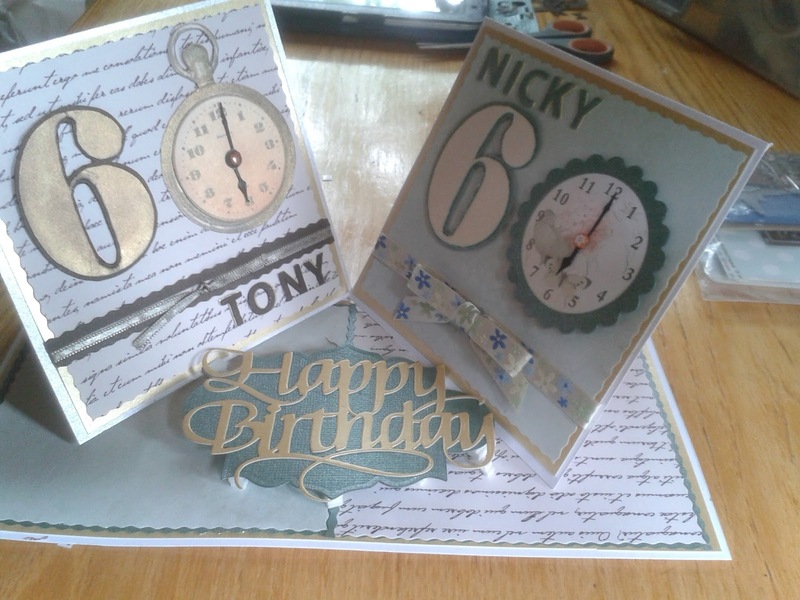 Twisted Easel cards! they are beautiful, well done. I LOVE those 60th cards!! They are fantastic and quite steampunky, which I adore. I love puffins too, so your GS is in good company :-). 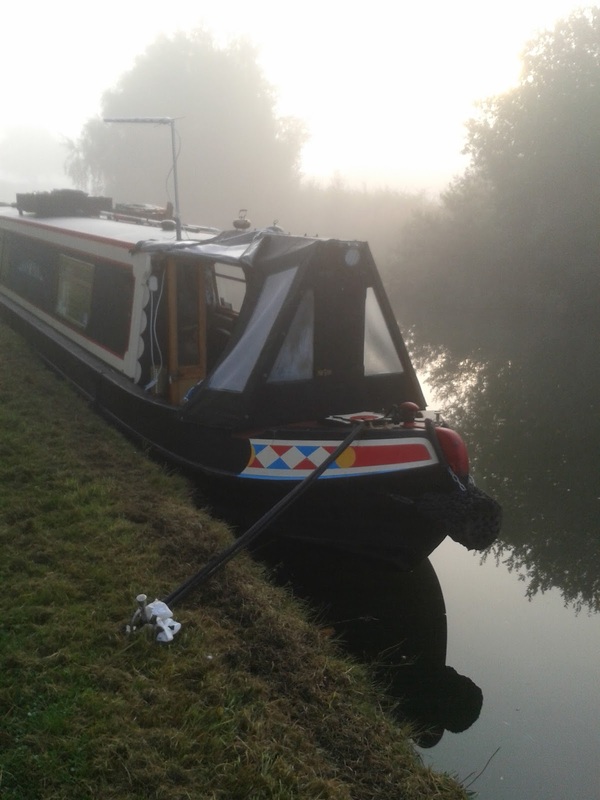 Lovely shot of the canal too, very atmospheric! Hello, Chris, thank you for your kind comment on my blog. It is nice to meet a crafter across the world. My son is doing much better. God has protected his eye sight, thought there's a lot of work to do... I can see that you use your creative talent to bless others.